If you seek the best of everything, including the best views, the best location, and the best amenities for your group, then this venue is for you. 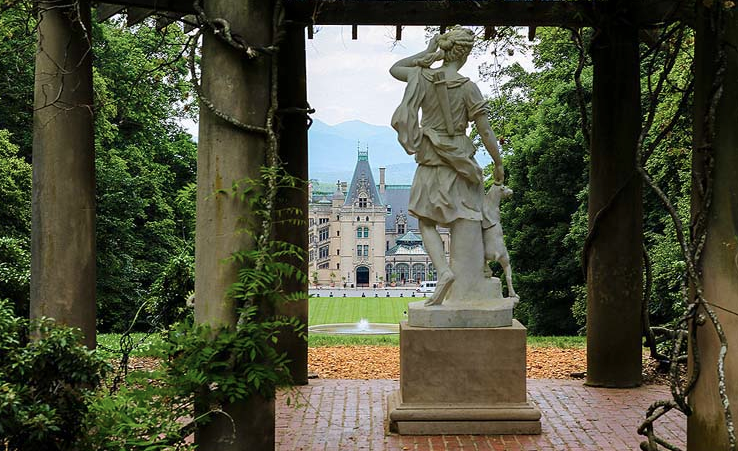 Set on a high hill near an elegant marble statue of Diana is a picturesque outdoor location that reveals sweeping views of America's Largest Home framed by the Blue Ridge Mountains. Surrounded by a shady grove of hemlocks, this private venue offers full guest facilities in addition to spectacular views and an air of exclusivity. Using a carefully coordinated combination of permanent and mobile facilities, Diana at Biltmore can accommodate 500 or more guests for reception and dinner events in an outdoor location with full all-weather backup. Diana at Biltmore also offers proximity to Biltmore House, flexibility for daytime functions, restroom facilities, a "green room" for VIPs, and easy access from nearby parking.